The winner of the Watch Dogs hamper – and more ways to win! I’m currently too broke to afford a copy of Watch Dogs, but that’s what happens when you have a crippling Batman addiction. And while my attempts to hack into the banks using a state of the art 386 PC have failed spectacularly, there are easier and less risky ways out there to help me get what I want. Meanwhile, over the road a figure in a black balaclava is still smiling, his hand slips into his pocket where he pulls out his phone and taps two buttons. A year long task has just been finished, and in great style. As he walks out from the dimly lit streets to the even less illuminated alleyway he whistles to himself a bit before being engulfed by the darkness. 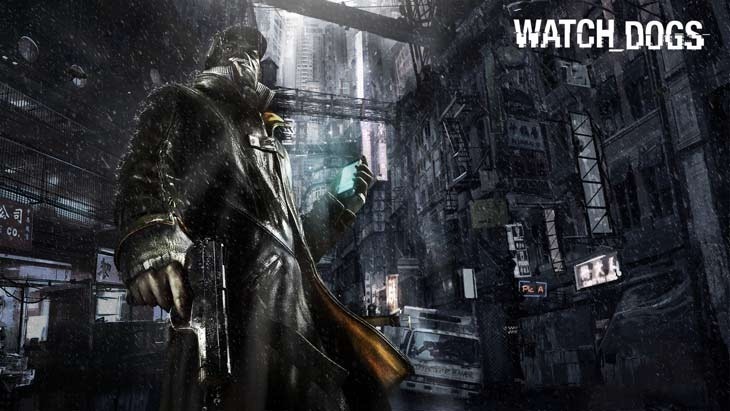 We’ve already had one Watch Dogs competition, and now we’re linking you to another! Megarom, that fine purveyor of your digital desires and many other games around the country, happen to be giving away a Watch Dogs hamper as well. To enter, hit the Megarom Facebook page here, activate the app and build a network with other like-minded folk who want the same prize. And fear not, the app is actually harmless and won’t take over your Facebook profile.